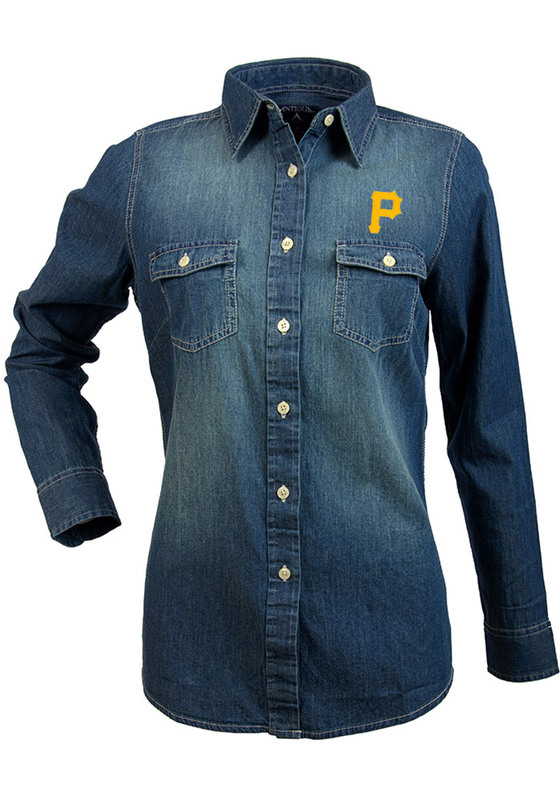 Let your Pirates spirit show in the office with this Pittsburgh Pirates Dress Shirt! Wear your spirit with pride in this Womens Light Blue Chambray Long Sleeve Long Sleeve Button Down Shirt. This Long Sleeve Dress Shirt features a team logo embroidered on the left chest. This dark chambray woven is lightweight with chest pockets and a tail bottom for a fashionable look while cheering on your favorite team.